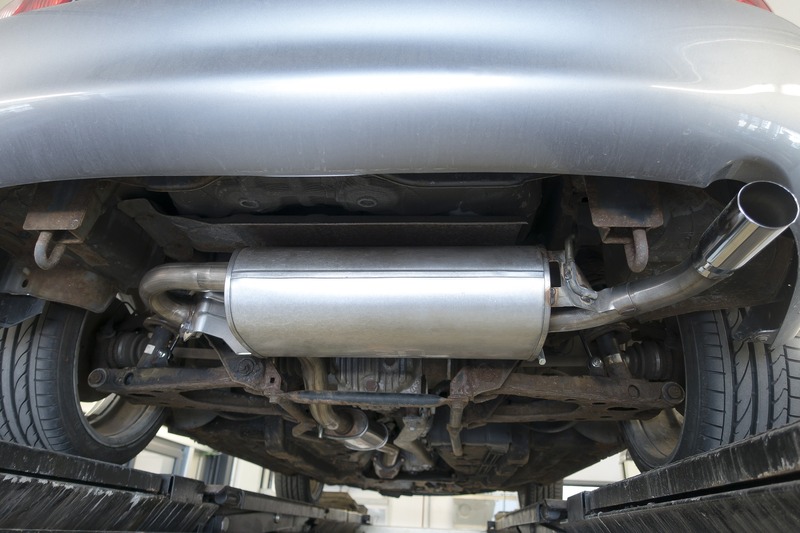 The DPF filter has been introduced for cars with a diesel engine and some with a petrol engine to protect the environment from solid particles’ emission. Unburnt ash and soot are deposited in the filter channels, and cleaner exhaust gases get out. However, the filter capacity is limited, and after about 300-600 kilometres travelled, the filter clogs up. When forced firing is not enough, the car owner faces a classic dilemma — replacement or regeneration of the DPF filter? Typically, the pressure gauge in the filter signals to the computer the need for self-firing. The combustion chamber gets a larger dose of fuel, and thanks to the higher temperature of gases (about 550 deg. C) the soot is burned out. Some advanced DPF filters with an additional injector also dispense fuel directly to the filter. Unfortunately, oil ash does not burn out, and for self-cleaning to occur, you need to drive at a higher minimum speed for 10-15 minutes. What if we only travel in the urban cycle and do not achieve the speed needed for automatic burnout? There are preparations for filtering on the market. They can be poured directly into the tank or into the filter, after removing the lambda probe. They lower the temperature needed to burn soot. As a result, more solid particles are burnt. Manufacturers recommend using them every three thousand kilometres. However, this is not a permanent solution, but only an inevitable postponement. In the first place, the control lamp on the dashboard will light up. It must not be ignored. There are several types of restoring the filter to the correct capacity. Mechanical and chemical regenerations are the most popular and relatively cheapest compared to the necessity of exchange. In addition to forced firing, it is always necessary to dismantle the filter during a renovation. The service technician also evaluates whether the structure of the insert is not damaged, for example, cracked or fused. There are services that offer forced firing, but the filter cannot be too full. An external computer connected to the engine maintains a speed of about 3,000 revolutions per minute for half an hour. In the event of failure, additional restorative preparations may be used. After this treatment, it is necessary to change the oil. The cost of this regeneration is about 150-200 PLN plus a new oil. It should be remembered that forced combustion does not remove ashes. Here it is necessary to disassemble the filter. In thermal regeneration, the cut cartridge is subjected to high temperature — about 700 °C for about 8 to 48 hours. When the process is finished, the filter is welded. Services using the second method let special chemicals into the cartridge or immerse the filter in water. Under the influence of ultrasound, air bubbles or preparations dissolve impurities. The regeneration process is the longest possible and takes about 12-24 hours. The cost of the service is about PLN 400-500. These methods are not very popular and reputable. Using the product for cleaning fireplaces and ordinary pressure washer, we can at best damage the DPF filter. It is better to go to a station where regeneration takes place on a similar basis but under strictly controlled conditions. The clogged filter is placed in a special device connected to the measuring apparatus. Water with a special washing gel is passed through the ceramic insert, first the reverse and then in the direction of the exhaust gas flow. A pressure of the liquid is strictly controlled. The clean filter is subjected to drying at a temperature of about 90°C and cooling. A cost of hydrodynamic regeneration is about PLN 400-500 and gives the best results. Rinsing with water removes approx. 98% of sediments and lasts about an hour. Sometimes regeneration does not fulfil its task or the filter is damaged. Then you have to replace it. A home budget before a large expense can protect the purchase of a replacement filter from a reputable company, instead of a much more expensive original part. The cost of the replacement depends on the brand and model, usually fluctuating between PLN 1,500 and 2,500. We should pass it around 100-150 thousand kilometres without problems. Buying a used filter always carries a risk. We do not know who and how he cared for it, what course it actually has or is well cleaned. Deciding on the original part for the exhaust system, however, you have to reckon with the costs. Here the price list also depends on the brand — the cheapest about 500-700 PLN, Fiat about 2,500 PLN, Ford, Mercedes about 5000 PLN, BMW, Volvo about 6000 PLN, VW Golf about 8000 PLN, Mitsubishi about 10,000 PLN. Therefore, it seems reasonable to buy a new replacement part, from a reputable company. With the new filter, the car will travel about 150-300 thousand kilometres without problems. Regeneration is much cheaper than replacing the DPF filter. Using the hydrodynamic method of rinsing with water, we get the filter almost like a new one. Then the exchange will be necessary only in case of damage or melting of the cartridge.